Engineer Kamran Khosravi wants to die in a car accident. His professional life in the Iranian hinterlands is full of bureaucratic drudgery -- protecting dams, for example, from looters. His wife Fariba can no longer stand it, and has left him to rejoin her family in Isfahan. She is anxious for him to choose a life with her, or to let her go and persist with things as they are. But Kamran's issues run deeper than anybody imagines. He has lost all feeling for his wife, and his plans for a car accident are escapist, not suicidal. He is having an affair with a married country girl, and thoughts of her lead him to foolish distraction. Most recently, he's found a day laborer who matches his approximate build and hair color, and his intentions grow increasingly dark, along with his nihilistic outlook. 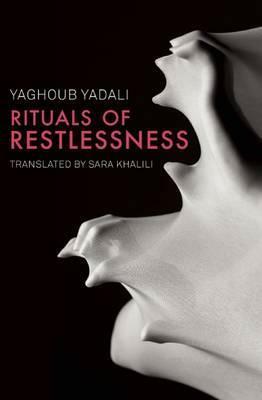 Rituals of Restlessness won the 2004 Golshiri Foundation Award for the best novel of the year and was named one of the ten best novels of the decade by the Press Critics Award in Iran. However, in 2007 Yaghoub Yadali was sentenced to one year in prison for having depicted an adulterous affair in the novel. Rituals of Restlessness and his short story collection Sketches in the Garden have been banned from publication and reprint in Iran. Yaghoub Yadali, a fiction writer from Iran, has directed for television and worked for Roshd Magazine as the editor of the film section. In addition to Rituals of Restlessness (2004) and Sketches in the Garden (1997) , he is the author of the short story collection Probablity of Merriment and Mooning (2001). His short stories, articles, and essays are published in Iran, Turkey, and the US. He has been writer-in-residence at the University of Iowa, Harvard University, and City of Asylum in Pittsburgh, PA. Sara Khalili is an editor and translator of contemporary Iranian literature. Her translations include Censoring an Iranian Love Story by Shahriar Mandanipour, The Book of Fate by Parinoush Saniee, Kissing the Sword: A Prison Memoir by Shahrnush Parsipur, and Pomegranate Lady and Her Sons by Goli Taraghi. She has also translated several volumes of poetry by Forough Farrokhzad, Simin Behbahani, Siavash Kasraii, and Fereydoon Moshiri. Her translations of Mandanipour's short stories have appeared in the Literary Review, the Kenyon Review, the Virginia Quarterly Review, EPOCH, Words without Borders, and PEN America. She lives in New York.